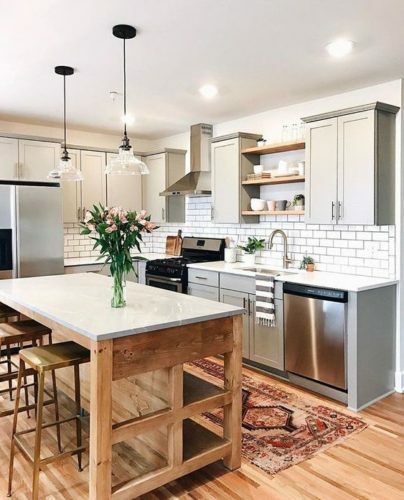 Choosing gray paint is a little bit like choosing one grain of rice that is just slightly prettier than every other grain of rice. Gray has taken the interior design world by storm. It’s no longer a drab, sad color. It’s bright and airy. Fresh and new, chic and elegant, all at the same time. Don’t even mention figuring out what these colors will actually look like on a swatch as large as your living room wall. Paint chips tell you squat about how the color will look in your room. How on earth can two square inches in a hardware store show you how that paint will look on 14-foot walls!? It can’t. That’s how. 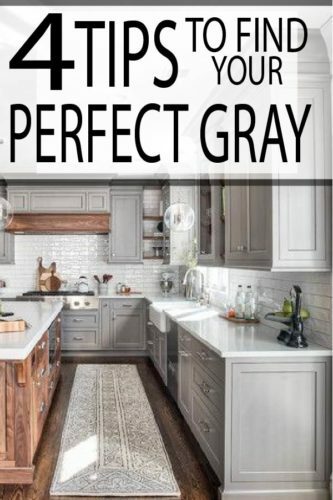 Luckily, we have done the legwork for you to help you choose the perfect gray for your home. These methods have been tested and approved by us, bloggers, homeowners, designers, and painters alike. 1- First things first – Grey or Gray? Grey and gray are both acceptable terms. Generally, gray with an “a” is used in the U.S. while grey with an “e” is used in the U.K. but don’t let the two terms throw you off, they are interchangeable. Gray as an elegant neutral. It adds depth to subtle colors and makes bold colors pop. That is why it is so popular right now. There are a few basic families of gray shades. These families vary in temperature. The temperature of your gray that you have to get right, so you evoke cool or warm depending on which mood you want to create. · Muddy Gray– This is a gray with a brown undertone. It looks great when paired with areas of natural wood or crisp white. · Dark or Charcoal Gray– These are deep grays and are best for creating a dramatic space. They work great in dining rooms, bedrooms, or studies. It is both glamorous and inviting. 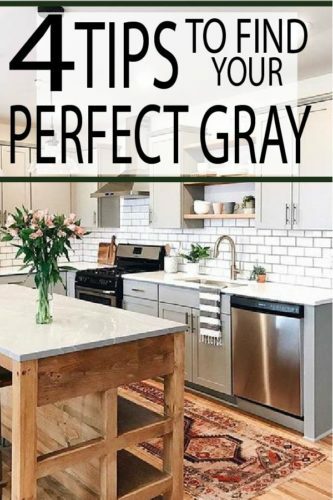 · Warm Gray – A warm gray paint color is a great choice but often overlooked because it doesn’t shine through on color charts. The right warm gray can subtly transform your room without taking over your entire color scheme. · Blue/Purple Gray – These are cool shades of grey that are very popular to create a light and fresh look. They work best in areas that get a lot of warm light, but can look industrial or cold if not use carefully. · Greige – This is a yellow or beige based gray. It’s a great option for large spaces because it can bounce as much light around as possible. The key to choosing the best paint color is to understand how light affects the space. The amount and direction of natural light can make your gray look either cooler or warmer. · For West Facing Rooms: West facing light is cool in the morning and warmer at sunset. Rooms that face west are best dressed in greige shades with a hint of beige or yellow that create warm, cozy but low-key luxury rooms. 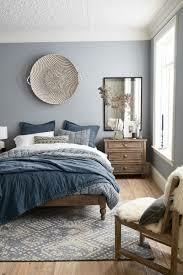 If you room has little light pick warm light gray paint colors for a quick pick me up. · For Southern Rooms – If you have a rooms facing south, you’ve hit the jackpot. These rooms are the best light quality for both warm and cool tones. Nearly any tone looks great in this light. If you want rooms that feel light and spacious; use pale tones or warm gray wall paint colors. 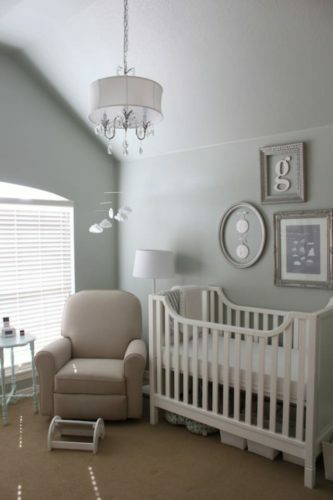 · East Facing Rooms– For rooms that face east, it’s best to choose green or blue grays. These rooms tend to have a warmer light tone during the day, so a cooler gray looks best. If you live in a colder climate, add additional layers to avoid the room looking too clinical or cold. Green based blues are often the most neutral for these spaces. What makes all the different shades of gray paint look so different is the color’s undertone. If you’re having a hard time seeing the undertone, line two grays together side by side. Suddenly you can see that one might be bluer or more purple, and the other has a tinge of yellow or red. If you want to add a different shade of gray to your room, consider adding or changing your light sources to make your gray paint look its best. The beautiful thing about gray is that it works with almost any color scheme. Grays paired with lavender, plum, or blush create a soft and more feminine space. Gray painted walls with blue or greens act more neutral, while gray paired with brown or red undertone will look warmer. For a Bold Look: If you want to create a bold gray look, choose a gray that has an undertone opposite to your accent color. For example, if your accent color is yellow, a good gray is one with an undertone of royal purple or bluish gray paint colors. For a Soft Look:If you want to create a softer look, instead choose grays with the same undertone as your accent color. For example, If your accent color is yellow choose a gray with a yellow undertone in the same family. This creates a more monochromatic, quieter, look. 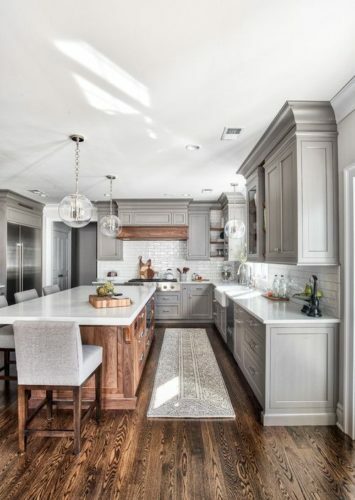 Gray paint is often best in flat finishes. Semi-gloss or high-gloss gray can quickly turn industrial. Pick 4-6 of your favorite gray shades and invest in sample pots of each one. This is a step you absolutely cannot skip. Number your samples so you don’t confuse your pots and paints. Paint each sample on the wall in at least a 2-foot square. Allow the paint to sit for at least a day, and then take your time in observing your paint squares. Move around the room during different times of the day when your natural light is at its best or weakest. Make note of how these colors change with the light. Place testers near your trim to see how it looks together. Remove paint colors you don’t absolutely love. Some will be obvious, others may take a day or two of living with before you make your final decision to either keep or remove them. Some experts suggest not spending more than a few minutes considering the colors in one sitting. When you spend too much time staring a several shades of the same color, they can easily start to look the same! Walk away and come back into the room again. Ask friends and family with fresh eyes what tones they see in your samples. If it’s still difficult to decide, you may need to paint larger areas to see the true colors clearly. Only through a thorough process will you know for sure which gray paint colors suit your accent colors, the room and the light.